DIY Wasp nest removal causes a risk for your health and safety, if you have wasp nest anywhere around your home don't ignore it as wasps are very fast builders. Call a professional pest control as soon as you notice a sign of wasp nest before it become a hazard. Attack Pest Control Sydney are the experts in wasp nest removal around Sydney, no matter the size and the location of the wasp nest, we can get rid of it in an easy and safe way. Why Choose Attack Pest Control Sydney? 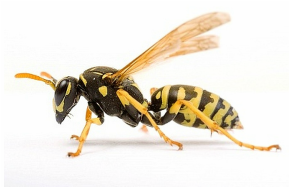 Wasps prey on many insects that are pests for garden and landscape plants, so they can be very beneficial insects. Therefore, nests should only be eliminated if wasps are in an area where they pose a threat to people or pets. The obvious hazards caused by wasps are stings and the potential for anaphylactic shock. In addition, using a ladder for nest removal could result in a fall. If using do-it-yourself tactics, always attempt nest removal after dark and be sure to have a pre-planned escape route if you need to retreat from angry wasps. 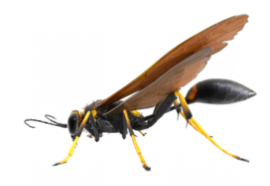 For wasp management, the best thing to do is contact your pest management professional for their advice, recommendations and control techniques. The European Paper Wasp is a black and yellow striped wasp with distinctive orange antennae. It is slightly longer than a honeybee. The European Paper Wasp has a more slender body and longer hind legs which trail behind it in flight; European Wasps have all black antennae while European Paper Wasp have orange antennae with black base.